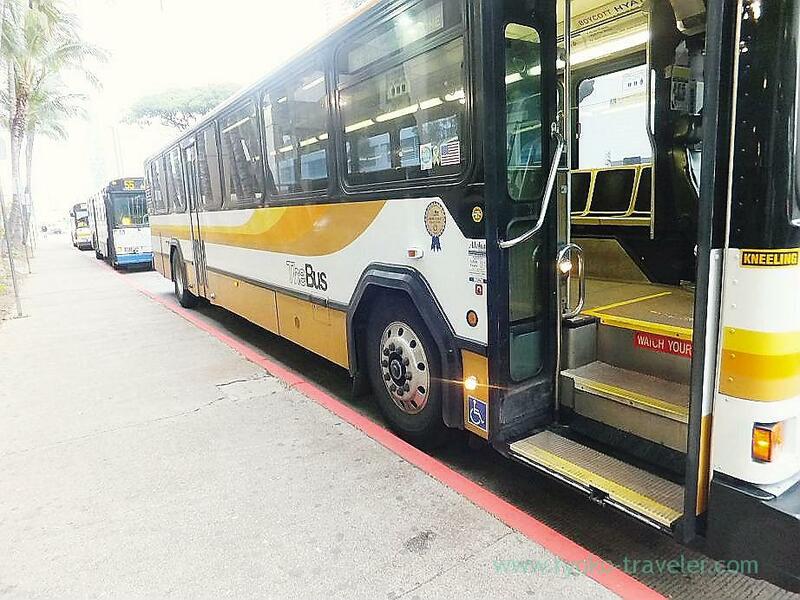 To my regret, the bus that I got at in front of the Pearl Harbor finally stopped at Ala Moana Center. I had mistake ! So, I dropped at Ala Moana Center. There were food courts and there were much foods that looked appetizing. But I didn’t want to eat anything, so I passed through the food courts. I didn’t look Hawaiian foods any more. I went back to Kalakaua street by trolley. But I could hardly reach the bus stop. 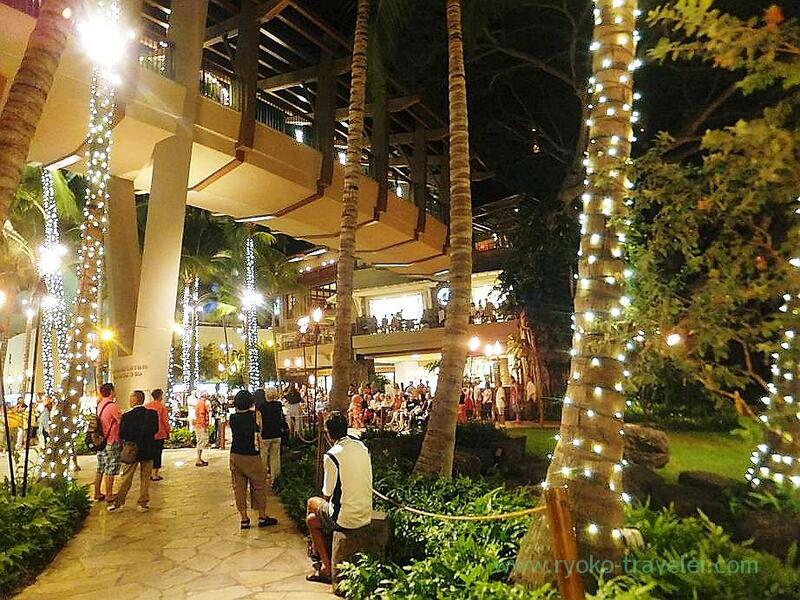 I lost my way in Ala Moana Center. 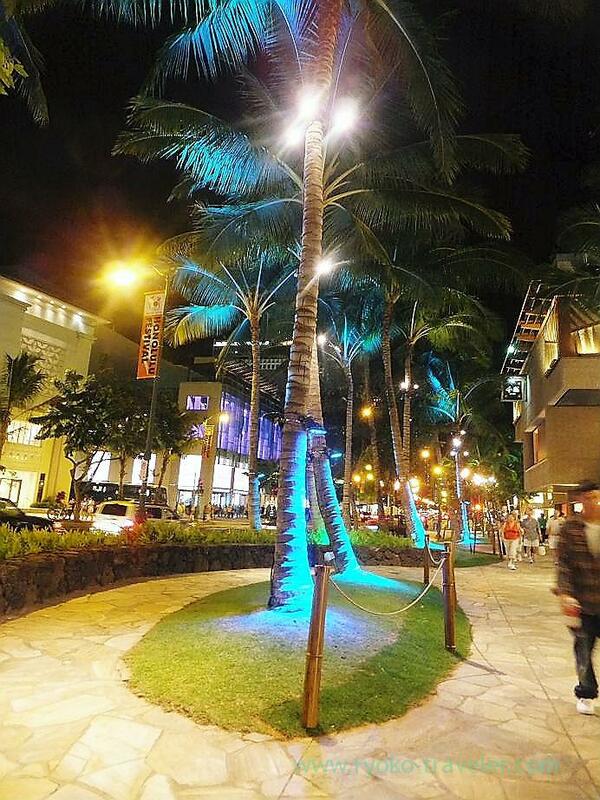 When I reached Kalakaua street, it already got dark, and the street was spangled with lights. Musical performance at the garden in Royal Hawaiian Center. Then I got sleepy, so I decided to go back to my hotel. I had to leave hotel next day at 5:00 a.m. I had to prepare for returning to Japan. 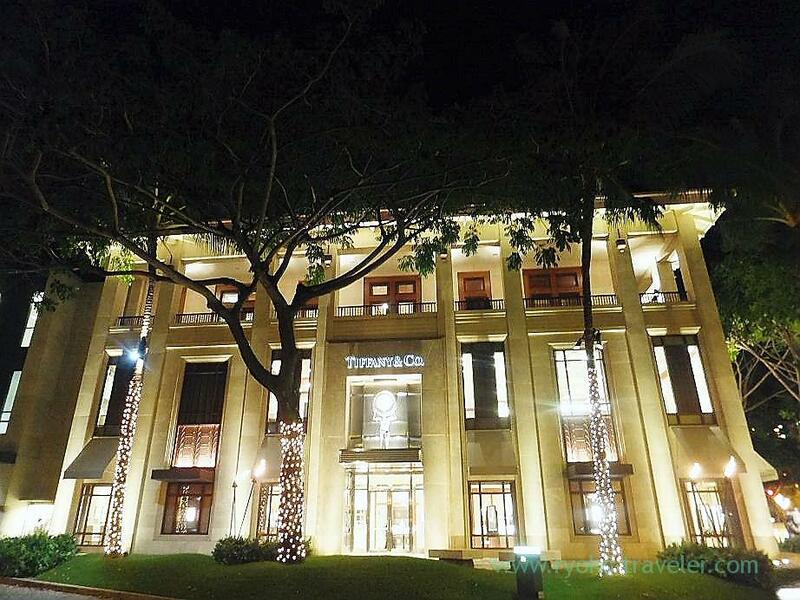 The building of TIFFANY on my way to my hotel was illuminated. It was so beautiful. 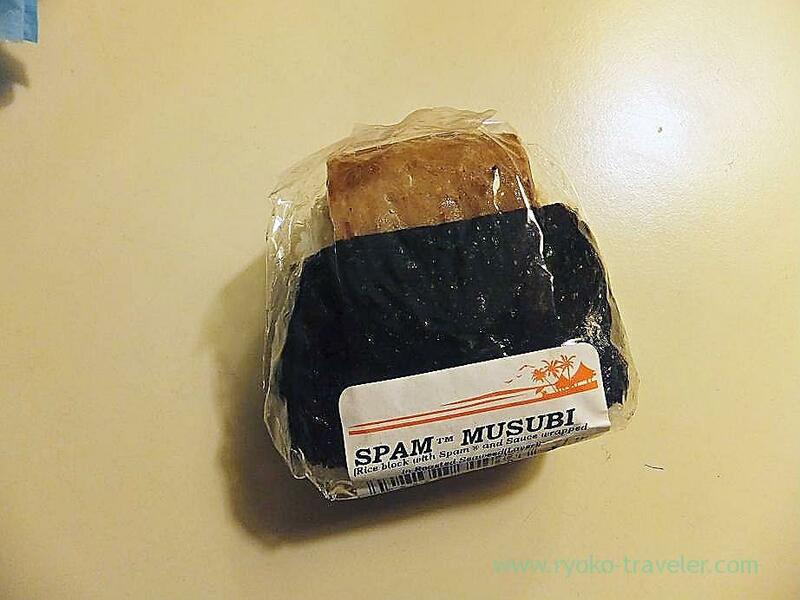 Before going back to my hotel, I dropped in at ABC store and bought spam musubi. That was my night meal. This spam didn’t too much salty and fatty. It was just good for me. Going back to my room, then I checked my gabbage. I tried to leave nothing behind. I checked in the safe as many as five times. I put the tip on the table and I ate up beef jerky left. And then I went to the lobby for using internet customary. It was so windy this day. But windows at the lobby were fully opened. And it was very cold. I went to my room once and I come back with a sweater. But everyone at the lobby except me wore short-sleeved clothes. I came to the lobby with my computer every day. Of course, because I wanted to search anything by internet.